"A Belgian government Web site has begun advertising a performance of Palestinian clowns that conveys "the real life of Palestinians separated from their water, their land, their history and their relatives by the wall of segregation." The group of Palestinian clowns from Ramallah will tour Belgium in February as part of the "Masarat" festival of Palestinian art announced by the French Community of Belgium. Under the unique Belgian system of government, the French Community is an official institution of the Belgian government responsible for the education system and cultural life of some four million French-speaking Belgians. While the festival is meant to be a cultural festival - the French Community has sponsored similar seasonal events showcasing the cultures of Congo and Benin - some observers of Belgium in the Jewish world are worried it will become politicized. As part of the festival, an official Web site of the French Community, agenda.be, lists the clown performance with the title "Circus Behind the Wall." The Web site describes the visit as "a clown, acrobats and a circus as a means of resistance and struggle." According to French Community Minister of International Relations Marie-Dominique Simonet, the festival focuses on Palestinian culture separate from Israel because Israel is a "rich country" - outside the "north-south" framework of the festivals, which try to showcase a poorer southern nation. At the same time, the minister added, Israel already enjoys cultural and scientific cooperation with Belgium's French Community. Meanwhile, the French-speaking Belgian newspaper La Libre quotes Palestinian representative in Brussels Leila Shaid as saying that, in the paper's words, "we should not always talk of Israel when we talk about Palestine and... it should be possible to show 'simply' artists of a country." But some people are not as confident that the festival can be disconnected from politics, and anti-Israel politics at that. Reached by phone on a visit in Israel, Joel Rubinfeld, president of the Coordinating Committee of Jewish Organizations of Belgium, said that "there is a strong political message behind this. When you speak about Palestinians or Israel today, everything is political. Buying a Jaffa orange in the supermarket is a political gesture." Rubinfeld calls himself a "pro-Palestinian Zionist, since I want to see a Palestinian state," and he believes Simonet may not know about the political messages being explicitly portrayed throughout the festival, including in the "resistance" message of the circus performance. Yet, he says, it is Simonet's "responsibility" as the minister in charge of the initiative. Over the past few year, flare-ups of violence in the Middle East have resulted in some vandalism and attacks directed at Jews in Belgium. "The Nazi Party, while not holding an absolute majority in the Reichstag, became overnight the power in the land. Throughout Germany, as the news of Hitler’s Chancellorship spread, the Brownshirts, who for so many months had been the terror of the streets, marched in triumph. They knew that their triumph was complete, and that no arrangement of Cabinet offices could reduce or restrain it. That night the watchers from the British Embassy witnessed the Nazi triumph: "From 8 p.m. till past midnight", the ambassador’s wife, Lady Rumbold, wrote to her mother two days later, "a continuous procession went past the Embassy, of Nazis in uniform and their admirers, bands, flags, torches, over four hours of it! The old President watched from his window, and a little further down the street the new Chancellor, Hitler, and his supporters stood on a balcony, and had a stupendous ovation. On our steps, and perched up on the ledge with the columns, stood wild enthusiasts, singing all the old German hymns! Every now and then there were shouts of "Germany awake", "Down with the Jews", "Heil Hitler"! It seemed as tho’ the whole of Berlin was processing along the Wilhelmstrasse."" "At the end of the 60s, we hijacked airliners to call attention to the Paletinian cause. I was aware that they would not change the course of our strugge against Israel. But it was the only way to make our cause known. Once this goal had been achieved, in 1972 I called at the third PFLP congress, for an end to airliner hijackings. It was a difficult decision because the majority of Paletinians were in favour. But I had no hesitation in breaking with my companion, Wadi Hadda, who decided he would carry on with the operations. Since then, I haver never been attracted to suicide attacks. Maybe this is due to my Christian religion, in which the word jihad does not exist." Top EU official: Gaza siege not a war crime - Franco Frattini, European Commissioner for Justice Freedom and Security, says at Herzliya Conference that Israel has right to defend itself against Qassam rockets, expresses regret at EU treatment of Israel. A change in EU attitudes towards Israel? In a briefing to Israeli reporters Tuesday, European commissioner for Justice Freedom and Security, Frano Frattini, said that the steps leading up to the Gaza blackout cannot be construed as a war crime and criticized the incessant Qassam rocket fire on Israel civilian population centers. In a lecture sponsored by the Herzliya Interdisciplinary Center, Frattini also issued a massive mea culpa to the State of Israel on behalf of the European community for its treatment of Israel during the second Intifada." There has been a large misunderstanding in recent years between Europe and Israel. And Israel is justified in its concerns. For too long, Europe has put too much blame on Israel for lack of peace with the Palestinians. We, as Europeans, should have understood Israel's concerns sooner,” said Frattini. The European official also noted that "as friends, it was our duty to criticize when we felt criticism was needed, but we did it too often and unfairly. We asked you to take risks and often we didn’t provide you with assurances that you wouldn't stand alone if things went badly." Frattini continued to say that, "Europe's attitude towards Israel is changing. Today, Europe better understands the complexities of the Middle East landscape." Commenting on the rising tide of Anti-Semitism throughout Europe, which has often led to marked tension between Israel and various European nations, Frattini maintained that "We are strongly fighting against Anti-Semitism in Europe. This kind of prejudice has no place in Europe today and never will. We will not tolerate Anti-Semitism and we take it very seriously." Speech by EU Commissioner Frattini "From the outside, looking in: international perspectives on the Middle East; Israel at 60: test of endurance" - 22 January 2008, Herzliya. From 11:45 a.m. to 12:45 p.m.
From 8:30 to 11 p.m.: four Lebanese journalists will dialog with a French journalist, a British journalist and a Belgian journalist. The debate will be chaired by a European member of Parliament. The jury is composed of five people, one from each inhabited continent, each of them judges by profession. The entire hearing will be recorded and filmed. The debates will be translated simultaneously into English, Arabic and French. Various documents and reports/ratios will be placed at the disposal of the public. A bookstore will be accessible. The hearing will take place in a room holding 250 people. Videos will be shown in an adjoining room. "The International Jury of Conscience for Lebanon" is a project which intends to develop the struggle against impunity regarding the crimes committed, which intends to promote international law and in particular human rights and which places the respect of fundamental human rights above any other consideration. The discussion will proceed in greatest serenity and the publicity that arises from it will reside exclusively within the framework of human rights. It will question only the facts that occurred during the conflict of July-August 2006 in connection with the respect of these rights. This project does not include a political debate on the question of the relationship between Israel and its neighbors, nor about the Palestinian question. 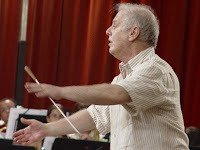 "I feel enormous respect for Daniel Barenboim. I am glad that he does so much for Palestinian people, giving concerts in Ramallah and doing everything to bridge the gap. I shall continue buying his disks, even those with Wagner. However, I have never seen him visiting Kiryat Shmona or Sderot or giving a concert there, and it is a pity." "… majorities in the United States (70%) and Canada (72%) say greater interaction is a benefit. Majorities in Singapore (77%) and Israel (56%), both nations with majority-Muslim neighbours as well as significant Muslim minorities themselves, also believe that greater interaction between Muslim and Western societies is a benefit, not a threat. In sharp contrast, clear majorities in all European countries surveyed - including Denmark (79%), Italy (67%), the Netherlands (67%), Spain (68%), Sweden (65%) and Belgium (59%) - see greater interaction between the West and the Muslim world as a threat. This reflects a growing fear among Europeans – driven in part by rising immigration from predominantly Muslim regions - of a perceived "Islamic threat" to their cultural identities. A recent poll found that only 21% of Europeans supported Turkey’s bid to become an EU member, and Nicolas Sarkozy’s successful presidential campaign in France included strong opposition to Turkish membership. A 2006 poll found that the main reason Germans opposed Turkey’s membership was "fear of a growing influence of Islam in Europe"…"
This survey should be compared to the one carried out in 2003 by the European Commission which revealed that 60% Europeans believed that Israel poses the greatest threat to world peace. What are the grounds for such pessimism among Europeans - whereas Americans, victims of 9/11, and Israelis, victims of human bombs, are much more optimistic and positive about relations with the Muslim World? Where is the logic for feeling threatened both by the Muslim World and by Israel? Not to mention the widespread antipathy felt for the U.S. If the media and opinion-makers did their job properly, Europeans would have a much better understanding of the world around them and feel less threatened. "The largest French public TV network has apologized after comments made by one of its correspondent who said that US President George Bush’s statement on the Jewish nature of the State of Israel was 'slanted'. In her letter, Arlette Chabot said: "I have read the CRIF communication about the commentary of President Bush’s visit to Israel broadcast on the (Primetime) evening News on Wednesday January 9. You focus on the journalist’s expression "semantic slant", when discussing the US President talking about "the security of Israel as a Jewish State". Philippe Rochot’s wording should have been different, to make it clear that this criticism came from Palestinian leaders." She added: "Rochot is a very experienced journalist. He was uncharacteristically tactless on that occasion, but had absolutely no intention of being dishonest. In order to avoid any misunderstanding, I would like to apologise, and assure you that your comments have been understood and accepted." Chabot’s letter was an answer to a CRIF statement entitled "Israel is the Jewish State". The statement read: "CRIF reminds readers that the notion of a Jewish State was included in the United Nations vote on November 29, 1947 that led to the creation of the State of Israel. The existence of a Jewish State alongside a Palestinian State is the only basis on which negotiations can take place. Obviously, the Jewish nature of the State in no way prevents Israeli Arabs having full rights of citizenship, as is indeed the case". "By putting across his own militant point of view to disqualify the perfectly legitimate statement of the US President, Philippe Rochot failed to respect basic journalistic ethics." "His remark, which goes against the position taken by all French politicians, engages the responsibility of France 2. CRIF expects an unequivocal reaction from the heads of France 2 concerning this extremely serious statement."" "I recently gave a talk at a conference on Media and Ethics in Jerusalem, where I presented the case against Enderlin’s version of the Muhammad al Durah story. Apparently, the presentation was relatively convincing since one of the first criticisms I immediately received from a prominent Israeli professor of communications was: "So what? According to reliable statistics, the Israeli army has killed over 800 Palestinian children since the second Intifada. So what difference does it make if this case is staged or not?" His intervention was followed by a round of applause from about a third of the 200-some person audience..."
A predictable attitude. … here are a couple of why's: Because it was a lie. Because people who lie always have a reason for doing so, in this case to incite more murder and perpetuate a blood libel. Speaking as the average American, most people can understand when innocents are killed in the course of war, but the scene staged by the Al Durah myth was unforgivable if true. No collateral damage this. We had (supposedly) a father and son in the cross hairs in plain site fired on with small arms (and missiles so the fairy tale goes) for 45 minutes with no armed enemy in site. This was murder on film. These were not casualties of war, these were murder victims as plain as day -- even to the most cold-hearted purveyor of the collateral damage concept. That changes everything. "...The big losers in this process were the forces of moderation on all sides: many Palestinians eagerly threw themselves into as total a war with Israel as they could muster; moderates could not brake their momentum; they could not even talk with their Israeli partners in dialogue without appearing to betray their people..."
Indeed! This scene made moderation impossible on BOTH sides. One side's already weak moderates were completely disarmed, the other (Israeli) side's were completely powerless in the face of a lie. When did you stop beating your wife? When will you stop murdering children in cold blood? Yet you never started! How do you respond except with arms to defend yourself from the horrendous attacks the lie has sparked? This is the classic tactic of the terrorist. Instigate an outrage -- perpetuate it yourself if you have to -- and destroy prospects of a negotiated settlement. The media and the left, the Israeli, left play right along with it. In fact, they are essential for its success." The deeds committed by the Israeli army and secret services in Lebanon, as in the occupied Palestinian territories, constitute a violent affront to the universal human conscience. These are criminal acts, as many people feel instinctively. They are different from the acts that take place in all armed conflict committed by the aggressor as well as by the aggressed. But feeling is not enough. The facts must be established. They must then be assessed in the light of existing international law. This should be done with the detachment and rigour of a process that excludes any a priori conclusions, the results of which will convince all people of good will. The international community is not an autonomous political and juridical body. It is but a summation of positions adopted by a certain number of governments. In many situations it has proved incapable of applying existing law by distancing itself from geopolitical or ideological contingencies. This impunity has covered up the numerous war crimes and crimes against humanity that have been committed since the end of the second world war. The unilateral attitude of the United States of America, like the double-speak of many European governments, make it necessary for those defending the law to take the place of failed political powers. The American administration is against any questioning of Israel’s role in acts committed in Lebanon as well as in the occupied Palestinian territories. Germany, Great Britain, Finland and France refuse to support a request formulated at the UN Human Rights Council to investigate the use by the Israeli armed forces of arms that are prohibited by international law. The systematic disinformation practised by an overwhelming majority of the media deprives Western public opinion of balanced information. All this justifies an initiative by the citizens themselves. This initiative must aim at being of the same high quality as the tribunal initiated by Bertrand Russell during the Vietnam war. It should be carried out with the same rigour, the same credibility and the same concern to go beyond divisions which have no place when it is a question of the rights of people. It must bring together highly qualified experts and personalities who are universally recognized for their moral authority. It must not limit itself up to a restricted circle. For this reason I believe it should not follow in the footsteps of similar initiatives taken in the past, whatever the quality that such work has achieved in the past. Such an action cannot be carried out properly in a hurry. It require an the formulation of a comprehensive project, together with a precise timetable, the mobilization of appropriate human and financial resources and an irreproachable moral framework. These requirements demand an international mobilization to support such an initiative. For this purpose we propose that a preparatory committee be set up which will carry out as rapidly as possible all the tasks necessary for launching this initiative. We ask your active participation in creating this preparatory committee. "A retiring hero of the struggle against Nazism, whose story came to light only ten years ago, Bill Barazetti helped thousands of victims of discrimination to get out of prewar Germany. In a Schindler-style operation carried out in conjunction with a British stockbroker, Nicholas Winton, he also played a major part in organising the escape of children from German-occupied Prague in the spring and summer months of 1939 before war broke out. Between May and July that year three trainloads of mainly Jewish children - the Kindertransporte - left the city and, thanks to a complicated system of false identity papers engineered by Barazetti, succeeded in reaching London via Holland. 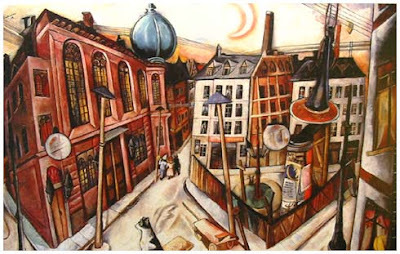 As a 19-year-old, Barazetti was studying law at Hamburg University in 1933, when he saw Hitler’s Nazi thugs beat up Jewish, socialist and communist students and academics in the university precinct. His protests to the Dean - also Jewish - drew the reply: "We are the silent majority." … in Prague he worked with church-based charities to help to channel the flood of refugees into Czechoslovakia, many from post-Anschluss Austria, towards Britain and Scandinavia. Between 50,000 and 70,000 people were helped to escape by these organisations. So it was only natural that when a British stockbroker, Nicholas Winton, decided, after a winter skiing holiday in the Czech mountains, that children were an urgent priority for evacuation, Barazetti was recommended as a partner in the enterprise. Winton returned to England where he was engaged in arranging for visas, homes and £50-a-head sponsors for each child. Barazetti made all the arrangements at the Prague end. He organised the trains, interviewed the families and sent Winton the details and photographs of each child. Returning to Prague - which was occupied by the Germans after March 1939 - in disguise and with a new identity, he evaded capture by spending every night in the home of a different family from among those of the 664 children for whom he had organised an exit. Because the English visas were often slow to come through, Barazetti got a Jewish printer in Prague to produce forged papers to show to the German authorities. By the time the first train reached Holland, the genuine visas were ready to hand out to the children on the train. Barazetti managed to organise the return to Prague of the forged documents for re-use. In the diaries, copies of which are now held by the Jerusalem Holocaust memorial institute, Yad Vashem, Winton noted that he had left the entire Prague Kindertransport operation to Barazetti. Finally, in 1993 Yad Vashem honoured Barazetti as one of the Righteous among the Gentiles." Other than the storm of controversy it caused, this pamphlet has had hardly any tangible effect on the United States’ position. In fact, it ignores the national consensus that lies at the heart of the alliance with Israel: a deep-seated phenomenom with historical, ideological and affective dimensions …"
"I urge you to listen to this very inspiring interview with a very brave man, Dr Saad Eskander, director of Iraq's National Library, repeated on Radio 4 tonight, or online. He persists with his task despite the horrific fate of some of his staff and personal death threats to himself. He describes how one of the first things he did was to search for and rescue 846 Hebrew books, dating back to the 17th, 18th and 19th centuries. All Jewish schools, synagogues and colleges had been closed by Saddam's regime and the Ministry of Interior had seized all books and archives. Despite all this, Dr Eskander, an ethnic Kurd vehemently against all sectarianism and tribalism, is as sure today as on the day Saddam's statue fell, still the happiest day of his life, that the US invasion was the right, the only solution. He believes that it had proved impossible for such a powerful regime to be destroyed from within. Fergal Keane asks him what he has to say to people, particularly on the left, who would say he was hoodwinked, a willing puppet of American imperialism. Dr Eskander responded that he is a socialist, who fights for social democracy and equality, be it of gender or ethnic groups. He has been the most vocal critic of US post invasion policy and practice, on US national TV and elsewhere, but still stands by his view of the invasion itself. As for the future, he takes the long view and is full of optimism. He is confident that the Iraqi people will not allow a dictator to reemerge; "we tasted dictatorship for 60 years; powersharing will be the formula for the next 20-30 years"." Abdel Aziz Rantisi: "the question is not what the Germans did to the Jews, but what the Jews did to the Germans"
"... Küntzel is right to state that we are witnessing a terrible explosion of anti-Jewish hatred in the Middle East, and he is right to be shocked. His invaluable contribution, in fact, is his capacity to be shocked, by the rhetoric of hate and by its consequences. The former Hamas leader Abdel Aziz Rantisi once told me that "the question is not what the Germans did to the Jews, but what the Jews did to the Germans." The Jews, he said, deserved their punishment. Küntzel argues that we should see men like Rantisi for what they are: heirs to the mufti, and heirs to the Nazis." "…Israel and its supporters in America cited Libya's chairmanship of a U.N.committee planning the anti-racism conference - convened to follow up on a similar conference held in 2001 at Durban, South Africa - in order to alert Western countries of the perils of funding and attending the event. While no country, including Israel, has explicitly declared its intention to boycott the 2009 conference known as Durban II, American-based organizations, as well as planners at the Foreign Ministry in Jerusalem, have launched a campaign to convince countries such as Canada, Australia, and members of the European Union to avoid the conference. Israel's Foreign Ministry plans to host a February meeting in Jerusalem to plan the campaign. "No decision was made" as to whether America would be represented at the racism conference or at what level, a spokesman for the American mission to the United Nations, Richard Grenell, said. "Currently what we are focused on is trying to fix the funding issue." America, as well as some of its European and other allies, argues that the conference should be funded by its supporters and not through contributions imposed on U.N. member states according to their wealth. America cited a $6.8 million allotment for the racism conference in the U.N. biannual budget - which according to estimates may reach $5.2 billion — as its reason for separating from the rest of the U.N. members last month, when it cast a rare opposing vote against the secretary-general's proposed budget. America is responsible for 22% of the U.N. budget, while supporters of the racism conference come mostly from poorer countries. Its planning committee includes, in addition to Libya, such countries as Cuba and Iran. "The choice of Libya as head of the planning committee tells you everything you need to know about Durban II," the deputy director-general for international organizations at Israel's Foreign Ministry, Aharon Leshno Ya'ar. "If the planning continues in the direction we think it will, I hope European countries will join us" in avoiding the conference. The 2001 Durban conference, convened to highlight the perils of racism and related discrimination, became entangled in anti-Western and anti-Israel politics, prompting a walkout by the American and Israeli officials in attendance." However, Anglicans are as divided over Israel as they over homosexuality. While the meeting will focus on the current crisis facing the church, some Anglican and Jewish supporters of the gathering hope the presence in Jerusalem this June of conservative Anglican bishops from every continent will present an opportunity to broaden Israel's support in the developing world. Organizers of the meeting told The Jerusalem Post this was not merely a gathering of an anti-gay coalition of bishops, but a meeting for "orthodox" Anglicans to be "getting on with things, doing the work of the church." Jerusalem was chosen as the venue as a sign of their commitment "to a land that is our common heritage." The meeting would also "bring fellowship and bear testimony to the Christian communities in Israel/Palestine" that have been under intense pressure from Islamist militants. Over the past few years the Anglican Communion has endorsed a number of anti-Israel agendas and causes. In 2006, the Church of England adopted a call for divestment while several church-linked charities have demonized Israel for its security policies. Christmas cards sold by War on Want, a London-based anti-poverty charity, depict Mary and Joseph unable to reach Bethlehem due to "Israel's separation wall and a state-of-the-art military checkpoint." The London-based Amos Trust offers for sale a nativity scene complete with wall, depicting the "year the wise men won't get to the stable." NGO Monitor, a Jerusalem think tank, has charged the relief agency Christian Aid with promoting a pro-Palestinian agenda. The charity offered a tendentious perspective on the conflict in the Middle East and "minimizes terrorism and Palestinian responsibility for violence and corruption," it said earlier this year. Prof. Jacob Olupona, a Harvard expert on African religion, observed that Israel holds a significant place in the minds of many African Christians, who see in the Old Testament a reflection of their experiences. Last year approximately 15,000 Nigerian Christians made a pilgrimage to Israel. Many Nigerian pilgrims now affix the initials "JP" - Jerusalem Pilgrim - at the end of their names after their return, in a practice akin to Muslims adding "al Haj" to their names after making a pilgrimage to Mecca." "I will not condone murder, therefore I disobey and continue to disobey Salazar." "I would rather be with God against men, than with men against God." "I could not have acted otherwise, and I therefore accept all that has befallen me with love." From the International Raoul Wallenberg Foundation (extracts). “In May, due to the German advance, the consulate was besieged by thousands of desperate people. Austrian, Polish and Czech officers. Anti-nazis from France, Belgium and Luxembourg. Intellectuals, artists and journalists who had condemned fascism. Thousands of Jews who, if caught, would have been sent to extermination camps. Rabbi Chaim Kruger and his family, whom the Consul took to his residence, were among them. He sent hundreds of coded telegrams requesting authorization to issue visas. In June, due to the imminence of the French-German armistice, the soldiers surrounded the consulate. The diplomat opened the doors to the refugees. The reply from Lisbon was categorical: no visas. On the fourth day, June 16, 1940, he got up and faced the crowd: "I cannot allow you to die. 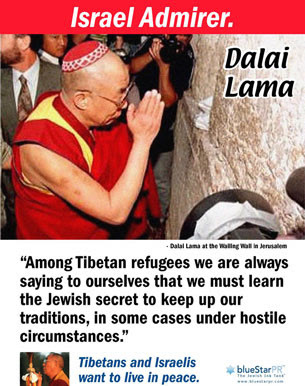 Most of you are Jewish and our Constitution established that neither religion nor political beliefs can be used as an excuse to reject the staying in Portugal". The Consul created a "line of assembly" with his sons, his secretary and the Rabbi. 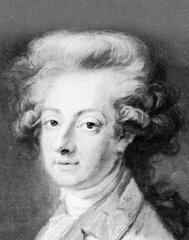 The free visa marathon lasted three days and included the Austrian Imperial family, the Habsburg. On June 19, Germany bombed Bordeaux. The dictator received the gratitude of the refugees, he kept the borders open - through the route established by Sousa Mendes a million people escaped -, but he ordered to judge him. To the catholic convictions of the Consul, the disciplinary council opposed the violations to the rules. 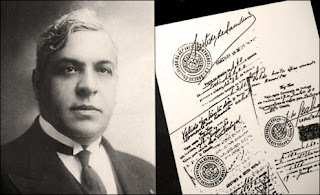 Sousa Mendes was removed form office and his name prohibited for decades. There was no job for the sons. The family started eating with the refugees at the Hebrew Immigrant Aid Society (HIAS). Confined in Cabanas de Viriato, Sousa Mendes suffered hemiplegia. In 1948 Angelina died. One by one, the HIAS took his sons out of the country. After the diplomat's death, the house was put up for auction. All the furniture had already been sold; the doors had become firewood. Only in 1987, President Mário Soares publicly asked for forgiveness to his relatives. The 10,000 Jews who owed him their lives had not forgotten him. The monument erected opposite to his house resume his spirit: "I would rather be with God against men, than with men against God"."